Amlou is an exceptionally nourishing spread. It is ultra rich in protein, digestive enzymes, mineral salts and vitamins. 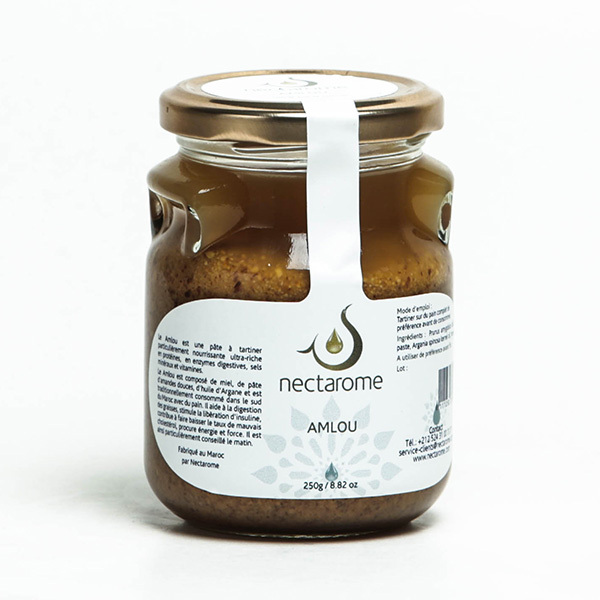 Amlou is composed of honey, sweet almond paste, and Argan oil. 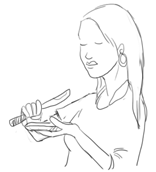 It is traditionally consumed in the south of Morocco with bread. It helps with digestion and the absorption of fats, stimulates insulin release, contributes to lowering bad cholesterol levels, and provides energy and strength. It is thus particularly recommended in the morning. Spread on bread, preferably whole, before consumption.